Lesley has completed her first year as Beds ASA County Head Coach. She has planned and delivered 4 workshops for the County’s top 11 year olds and along with the County Development Team, attended the National forum in Nottingham to see where the County Programme is going next year. She hopes to continue the role in 2018. Lesley was also selected as a Skills Coach on the East Region Talent Camps and the Swim England National Phase one Camps for the East this year. This was completed last weekend, delivering a total of six training sessions for the Regions best swimmers since September. Top performance by all our swimmers in the East Region Winter Championships with Putteridge Swimming Club coming 5th in the region. Lawrence received his 2nd European Record for 100 breast this morning alongside the absolute swimming legend Jane Asher. But something even more incredible followed. He broke the Great British, European and World record in the 25/29 yrs Masters with an incredible time of 26.99 in the 50M breaststroke! Lawrence brought the curtain down on the Swim England Masters National Championships 2017 with a 50m Breaststroke world record in the final session at Ponds Forge. Lawrence’s time sliced almost a second off the previous world record of 27.31. “The record was an added bonus to the fact that I was close to my PB, especially as I didn’t expect to break the time,” he said. Lawrence Palmer of Putteridge Swimming club dominated his age group to claim a new European record in the 200m Breaststroke in Session 3 of the Swim England Masters National Championships. He put some real distance between himself and the rest of the 24-29yrs age group. He touched the wall well over eight seconds faster than Aaron Flynn who claimed silver. Putteridge lowered the previous European marker from 2:14.44 to an impressive 2:11.90 to take the title. Best of luck to all our swimmers competing at the Swim England Masters Championships. 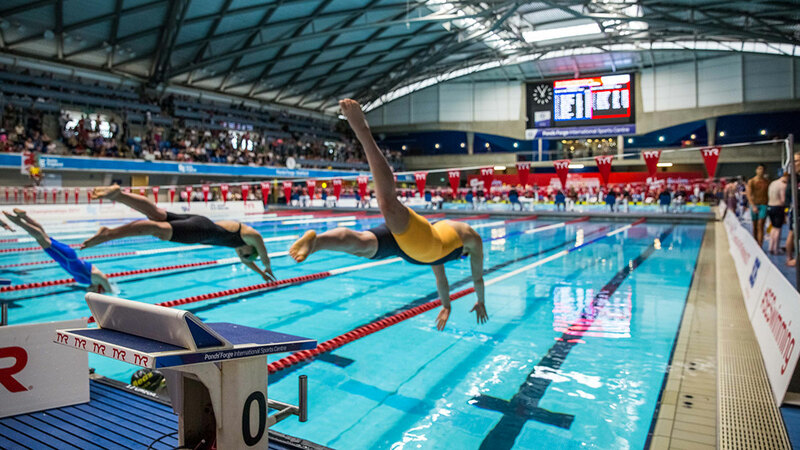 This year’s Championships are taking place at Sheffield’s Ponds Forge International Sport Centre from 27 – 29 October. Over the three days of competition expect British, European and World records to tumble, as over 1000 competitors including our swimmers from Putteridge Swimming Club fight it out in the pool to be crowned this year’s champions. What a Fantastic night we had on Saturday!! After weeks of planning and organizing we only had a few minor glitches on what was a fabulous night for Putteridge Swimming club. Debbie, Dean, Andy, Graeme, Emma N-B, Susan and Jo, our technical Team in the Timing Suite, poolside, Lesley, Carol, Lewis, Gavin, James and all the parents you were all phenomenal! Our Swimmers, what a job they did!!! Not only were they professional they were a real team. We had relay swimmers swimming strokes they don’t necessarily like, swimmers doing individual events they don’t normally swim and Masters swimmer Miriam also drafted in. As part of the Bedfordshire ASA Club Development Day and Conference, please find here a poster for your information on Water Polo in the region. The Water Polo team are happy to respond by email to anyone’s enquiries or questions about water polo and taking part in this aquatic discipline. Nominations are now open for Luton Sports Awards. You can nominate anyone you think is worthy of an award by clicking this link. For more information download more information here. Congratulations to PSC Swimmer Matt Haden for achieving GB Bronzes at the European biathle and triathle Championships in Portugal. Matt trains and competes in the elements for Penthalon, hence Biathle and Triathle. All the times are now uploaded to the Active swim portal and can be viewed through your individual log on to the portal. PSC’s Ryan Roberts aged 12, competed in the East Region Open Water Championships last Sunday. It was his first Open Water Event, and saw him compete in a highly competitive age group, to finish the 1.5 KM swim in 3rd place and qualify for the National event in Sheffield on Monday 31st July. More great news for Putteridge Swimming club as Head coach, Lesley Batson is selected as Skills coach for the East region Talent camps. The East Swimming Talent Camp forms the entry level towards the ASA England Programmes Pathway. It provides an opportunity for swimmers within the Region to develop through an aligned approach using programmed activities which then prepares for a possible entry into the England Programmes or potentially onto the World Class Programmes. The selection policy provides a clear approach to identifying swimmers, coaches and support staff to attend the outlined programme activities. We flew to Berlin on the 5th July for the last leg of the World Para Series Event. We were collected by car at the airport and taken to our hotel in the centre of Berlin, the technical meeting was held at 6.30pm, but we couldn’t find the pool. The event started the following day with warm up at 7.00am. The event was the biggest by far of the series there were so many swimmers in the warm up pool, it was incredible. Aaron was very focused and knew what he needed to do. He was in the 5th event of the day, heat 15,lane 1. Some swimmers took over 8 minutes to achieve 100 meters. You could hear all the cheering in different languages and clapping it was fabulous, you could also tell when the heats were getting quicker because of the water rushing down pool side. See our PSC swimmer Jordan Quinn in the new Active Luton Video.